Recently I taught down in hot, dry OKLAHOMA. 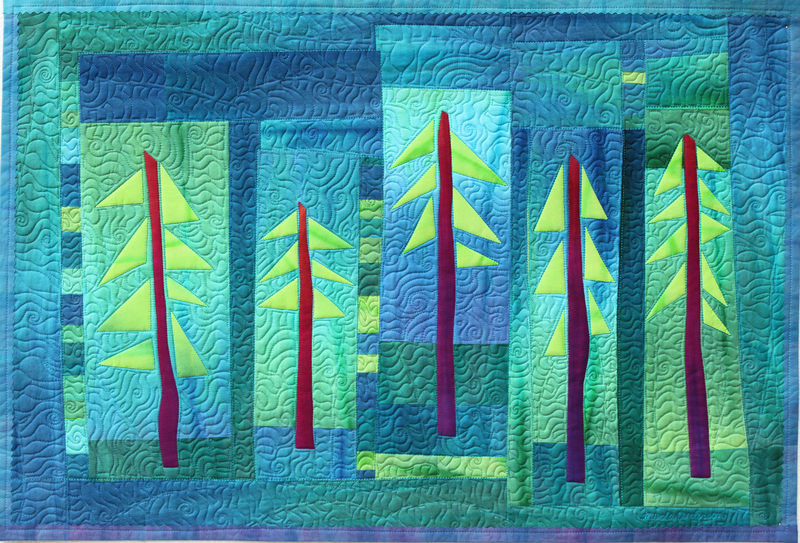 For the class I did, they choose to make Duluth Trees. 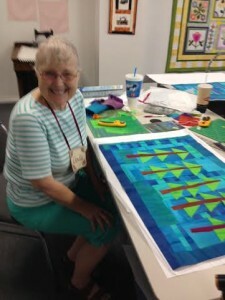 EVERYONE did such a tremendous job creating their designs and almost everyone went home with their quilt tops ready for the next step of quilting and finishing them up. 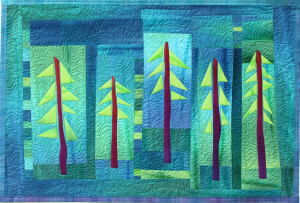 My quilt Duluth Trees was designed after teaching up in Duluth MN, where in my mind all I saw was green and blue, hence the color theme. The design like all my fused designs is a raw edged fused design. 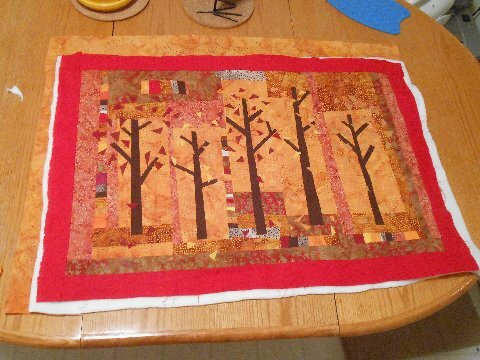 This one however is a collage style quilt, with each individual piece of fabric, except the trees, slightly overlapping another piece of fabric to create a fused “seam”, no piecing involved. It really goes together rather quickly. This is Linda with her top all put together in class. 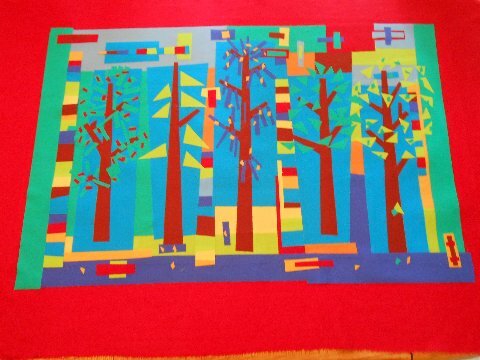 I just wanted to tell you how much I love your Duluth Trees pattern. I recently I used it as the basis for experimentation with color and shape. 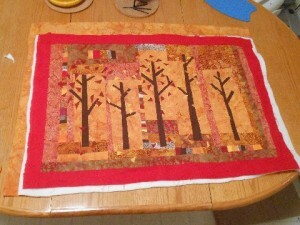 making summer and autumn versions. Thanks for creating such a lovely pattern. There must be something in the air right now about trees. Meg, your autumn piece is outstanding.